DESCRIPTION Located on a quiet tree lined street, this open plan home w/ dev. down has 9' ceilings main & lower. Open concept main floor boasts hardwood floors w/ a central gourmet kitchen w/full height espresso cabinets, quartz countertops, mosaic tile backsplash & large island w/pendant lighting & built-in island wine fridge. OS walk-in pantry, SS appl incl wall oven & gas cooktop. Spacious living room w/ gas fireplace is an ideal place to relax. 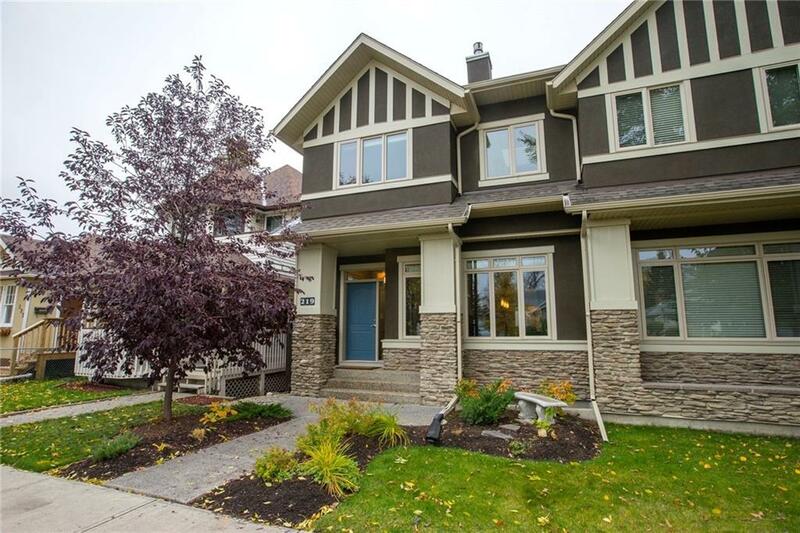 An open riser maple staircase w/skylight leads you to the 2nd floor with 3 bdrms incl a master retreat w/vaulted ceiling & 2 sided gas FP to spa style ensuite w/ soaker tub, oversized tiled shower w/10 mil glass, dual sinks & skylight. Large walk-in closet w/ built-in organizers & 2nd skylight. Upper laundry rm. Lower level offers spacious media/rec room, large 4th bdrm & full bath. Central vac w/attach. South facing backyard with mature trees & flag stone patio. Large double car garage in rear. Excellent location, minutes to dining, shopping, schools, DT & transit.